TTB Contracts is a family run business specializing in commercial cleaning for schools and colleges within the Midlands. Employing upwards of 200 staff they provide specialist services such as floor cleaning & restoration services, commercial window cleaning and cleaning consultancy & training. 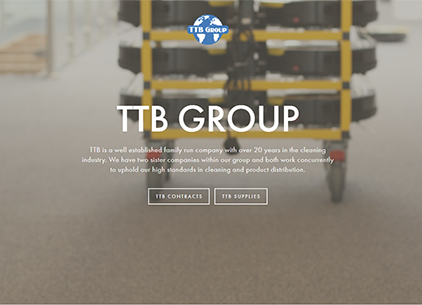 Currently operating over in excess of 50 sites, TTB have a high volume and wide range of materials and equipment situated at each location to facilitate their services. They have had difficulty auditing and managing the value of assets in the business across the sites they have contract responsibility for. As a consequence of this, TTB have not been able to reconcile all of the factors that affect the profitability of a site with no inventory or method of recording, managing and maintaining the assets associated to a site and the business in general. They are aware that a number of high value assets have been damaged, lost or stolen, but have no means of identifying or reporting on these details to the client and site management team. As a result there was limited accountability and no traceability for assets within the business. To support their growth plans , TTB identified this area for improvement in order to support their business plans and continued growth strategy. They must be able to manage and maintain all of the assets within the business. At any given point they want to view assets and determine their location/state/value. They want to improve levels of accountability for assets throughout the business and on site with the site teams. A means of auditing and traceability were key requirements identified during the scoping exercise. Spending time with TTB and understanding their business and associated processes lead to the creation of a field based mobile solution whereby every asset of significant value could have a barcode label which could be scanned using a smartphone or tablet. Assets are scanned by a mobile app and the relevant details are recorded (i.e. Product Type, Description, Serial Number, Value, Purchase Date etc.) within the app. Once scanned and registered, assets can then be checked-in at specific sites or checked-out and moved to other sites or the central warehouse. If an asset is checked out of a site it is held in-transit and assigned to the user until they assign it to another site. The mobile app reduces the level of error by using a unique robust barcode for every asset. Utilising scanning technology to read and assign the assets, using geo-tagging to determine the site or location for that asset, making the setup and ongoing managing process as simple as possible.It was important that this was quick and easy to use, with minimal data entry required by the app user. In addition to the mobile app, head office administrators have access to a web portal that provides more detailed information and reporting regarding the assets. The portal allows the Admin to create, monitor, manage and maintain Assets, Products, Categories & Sites. The engine room for the whole system, this is where the bulk of the product and asset setup process occurs. TTB were experiencing a real-world problem that was resulting in a loss of time and money and restricting their ability to grow the business. With a relatively simple but creative solution we have developed an application that overcomes a huge amount of frustration and generates a true financial ROI by reducing the time taken to manage, monitor and report on assets. With a greater degree of accuracy and confidence TTB can provide their services at all locations knowing that the equipment they need is where it should be. The improved management & reporting will help with a reduction in lost and missing equipment and overall accountability for assets at each location.